Many times, it’s hard to get a project manager or project coordinator position without already having project management experience. But how do you get that experience, without being able to get a job? This is a tricky catch-22 for getting project management experience. However, there’s one approach that can help you gain actual experience while doing something good for your community. Consider volunteer work as a way to gain project management experience. 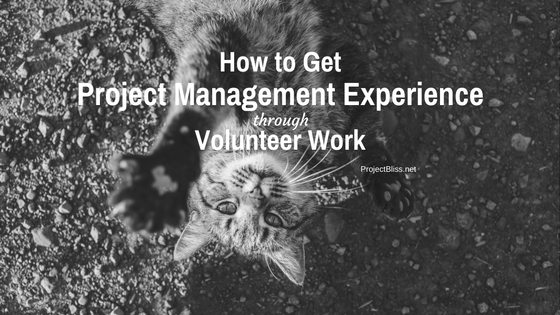 If you’re able to find the right type of volunteer work, you can get actual project management experience, even if you’re not getting paid for it. Many organizations carry out projects and use volunteers to plan and execute them. Activities like carrying out a fundraiser or an event will need someone to coordinate the activities and team and ensure that the project is successful. If you’re leading or coordinating an effort like this, you’ll likely be doing activities that align with project management or project coordinator positions. This can be legitimate experience to put on your resume. The organization may be reluctant to give a volunteer meaningful control over the budget. To gain useful experience, seek work that aligns with project coordinator or project manager positions where possible. If you can gain trust with the organization, you’ll be able to take on more responsibility. Q: What types of volunteer opportunities are good for obtaining Project Management experience? A: Start with an organization that you care about. Without that point, it’s going to be a struggle. I suggest looking for an opportunity where you can show evidence of achievement and where you have the ability to ‘call the shots’ as much as possible. For example, running a fundraiser event could be a good fit for some people because you can point to the number of volunteers managed and/or funds raised. Q: What organizations are best sources for seeking these opportunities? A: It comes back to your interests. In my case, I have been attracted to organizations related to education and career development. Q: What is the best way to approach these organizations for these opportunities? A: Some organizations post volunteer job openings – that’s a good way to get started. Alternately, I have had good success with emailing a leader (e.g. chair of the board) and directly making an offer. This is how I became involved in teaching PMP Prep at my local PMI chapter. Q: How might one maximize the opportunity provided? A: Maximizing the opportunity depends on your goals. If you’re goal is job search, then you could maximize the opportunity through networking (e.g. ask for introductions and look for appropriate events to attend). When you have an opportunity to gain project manager or project coordinator experience in a volunteer position, make sure to add the experience to your resume. To make sure you get the most project management experience possible out of your volunteer activities, look for chances to do the following activities. Once you demonstrate your leadership ability and gain more trust, it may be possible to step into more of a leadership role, if desired. Define project objectives and scope. Create a project schedule with identified milestones. Coordinate project teams to execute project goals. Clarify goals and focus for the team. Maintain project documentation as needed. Create and managing the project budget. Serve as the primary point of contact for the project. Track progress and provide accountability. Prepare status reports on progress and any anticipated issues. Plan and lead project communications. 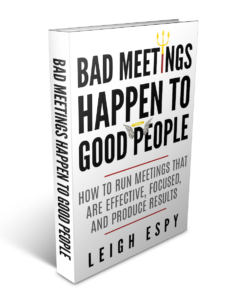 Coordinate and facilitate project meetings. Build team consensus and resolve conflicts. Providing frequency based updates and communication to all involved parties. Monitor for obstacles and potential problems. Check VolunteerMatch.org. They match volunteers to available opportunities. In your preferred search tool, type in the word “volunteer” and the name of your city or town, and you’ll likely see opportunities. Identify causes that are important to you and identify associations or non-profits that serve focus areas of causes that are important to you. Seek volunteer opportunities to lead projects through your church or religious organization. When you speak with these organizations, let them know the type of activities your seeking. It’s okay to be transparent about your goals. Just make sure that you work with integrity and honor your commitments to the organization, just as you would with a paid position. If you hope to put this experience on your resume, you need to approach it responsibly. And as I stated already, you’ll get the benefits of project management experience, along with new connections, possible new opportunities, and doing good for your community. Work you can feel good about on multiple levels.